As a motorist there are a number of rules and regulations you have to adhere to including not using your mobile phone behind the wheel, staying within designated speed limits and generally ensuring that your driving is safe and legal at all times. However, over the past few weeks there have been reports that motorists may soon be more heavily targeted by the police in a bid to keep the roads safe over the Christmas period and beyond. As Christmas is just a few weeks away police across the country have been launching their annual anti-drink driving campaigns. 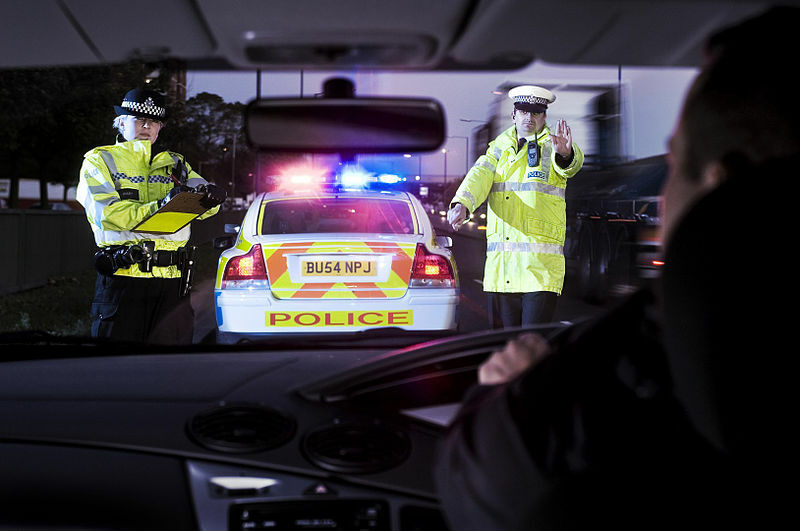 During the Christmas period there is typically an influx in the amount of motorists who get behind the wheel while over the legal alcohol limit, mainly because there are numerous events and festivities during this time of year. In order to counteract this issue police tend to set up check points in busy areas and increase the amount of motorists they stop on the road. However, this year things are set to be even tougher in Scotland as a new law has passed lowering the drink-drive limit. It’s not just Scottish motorists that may be seeing more of the police in the near future however, as the government has recently announced plans to prosecute drivers who throw litter out of their vehicles. Discussing the issue, Eric Pickles, the Communities secretary, said: “There is a lot we can more we can do to clean up our streets by working with community groups and young people to encourage social responsibility and restore a sense of local pride. “Councils should also be working with the tobacco industry to stop cigarette litter – if the industry wants to help, they shouldn’t be turning away their support. Councils may now have public health responsibilities, but they also have a basic duty to keep the streets clean.” Meanwhile, a document created by the Department for Communities and Local Government said: “Littering and fly-tipping blights the areas where it occurs, can pose a risk to the environment or human health, and spoils our enjoyment of our towns and countryside. “Areas subject to repeated littering and fly-tipping may suffer declining property prices and local businesses may suffer as people stay away. Littering is a significant issue for local residents. Surveys consistently find that levels of litter affect residents’ satisfaction with where they live and feelings of safety and well-being.” Under the proposed plans motorists who throw litter out of their vehicles will be subjected to fines or even prosecution if they are found to be repeat offenders. As a motorist you are legally required to make sure that you are safe each and every time you get behind the wheel of a car, however there are those that try and break these rules. Tougher policing should hopefully reduce the amount of accidents on the road, however motorists should also help when it comes to keeping the roads clean.